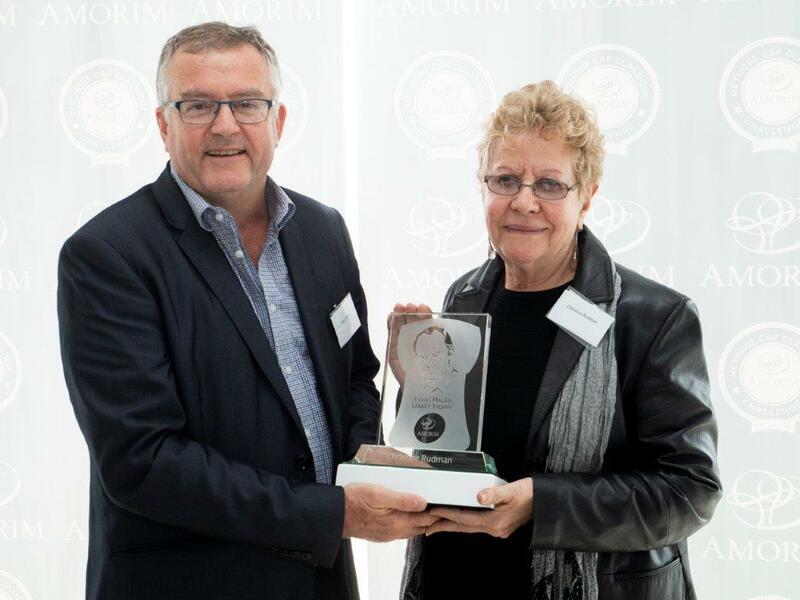 Leading South African wine personality Christine Rudman is the recipient of this year’s Frans Malan Legacy Trophy awarded during the Amorim Cap Classique Challenge, which was held recently in Cape Town. Each year Amorim and the Cap Classique Producers’ Association recognises an individual for his or her contribution to the quality, culture and ethos of Cape Classique. For this, Amorim awards a Trophy named after the patriarch of Simonsig Wine Estate in Stellenbosch who pioneered the Cape Classique category by releasing the first South African bottle-fermented sparkling wine in 1971. Christine is one of the true doyennes of the South Africa wine industry. Through her career as marketer, wine teacher, head of the prestigious Cape Wine Academy, acclaimed judge and wine journalist she has been espousing her love for Cape Classique for as long as the category has existed. According to Joaquim Sá, MD of Amorim Cork South Africa, it is a great honour to award Christine with the Frans Malan Legacy Trophy.